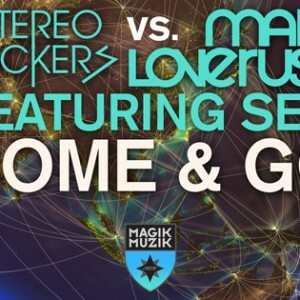 Dimitri Kechagias review: The legendary record label Magik Muzik presents the brand new production byStereojackers vs Mark Loverush. The collaboration between these very talented artists has as a result the magnificent Come and Go featuring brilliant vocals by Seri. We deal here with an energetic powerful prime time progressive trancer of the highest quality. 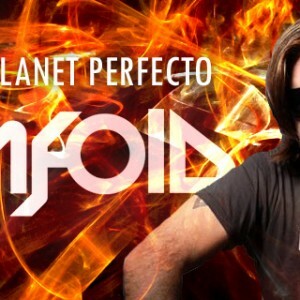 Banging beats, energetic pumping pulsating basslines, hi-nrg synths and….. Here is the sneak preview to our massive new forthcoming single “CONNECTED” with Menno de Jong Stereojackers vs Mark Loverush Shelley Harland coming soon on Black Hole Recordings. BOOM BOOM BOOM BOOM Our Stereojackers vs Mark Loverush Remix of the brilliant Shelley Harland “New Things” is featured on Pure Bliss Vocals Vol. 6 Pure Bliss Vocals is dedicated to bringing you the listeners the best in Vocal Trance and all things EDM. Once again we’re back with our latest Vocal Trance compilation, Pure….. 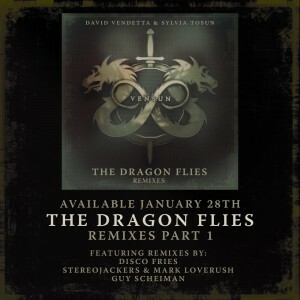 In working progress Stereojackers V Mark Loverush are pleased to announce a forthcoming single with NYC sensation Sylvia Tosun on the forthcoming smash “Never Too Late”, the voice behind one of the biggest trance smashes “An Angels Love” with Alex M.O.R.P.H and the anthemic 2009 club hits “Underlying Feeling”, “5 Reasons” and the huge 2014 club…..
iTunes: https://itunes.apple.com/us/album/dragon-flies-remixes-pt.1/id804423886 Beatport: http://www.beatport.com/release/the-dragon-flies-remixes-pt-1/1235416 Landing in download stores TODAY is part one of a massive, two-part remix package of the latest VenSun single ‘The Dragon Flies’. VenSun, aka French DJ / Producer David Vendetta and the acclaimed vocalist Sylvia Tosun, have enlisted a diverse collection of remixing talent for the release, including the esteemed trance…..
Tracklisting: 01 Audien – Elysium (Original Mix) – Spinnin’ 02 Syn Cole feat. Madame Buttons – Miami 82 (Vocal Mix) – Le7els 03 Moska & MYNC feat. Tamra Keenan – Beautiful People (Summerland Cartagena 2014 Anthem) (Original Mix) – Cr2 04 Sandro Silva – Payback (Original Mix) – Revealed 05 Jidax & Enzo Darren feat. Chester…..